It is looking very sparse right now due to the removal of old foliage and unnecessary branches, but hopefully it will fill in before the end of this growing season. Its current sparseness gives an opportunity to see the strange relationship between the two trunks. As the foliage fills in, the pads and the spaces between them will become more well defined. This tree is big, about 65 cm tall from the lip of the pot, and weighs about 75 lbs. 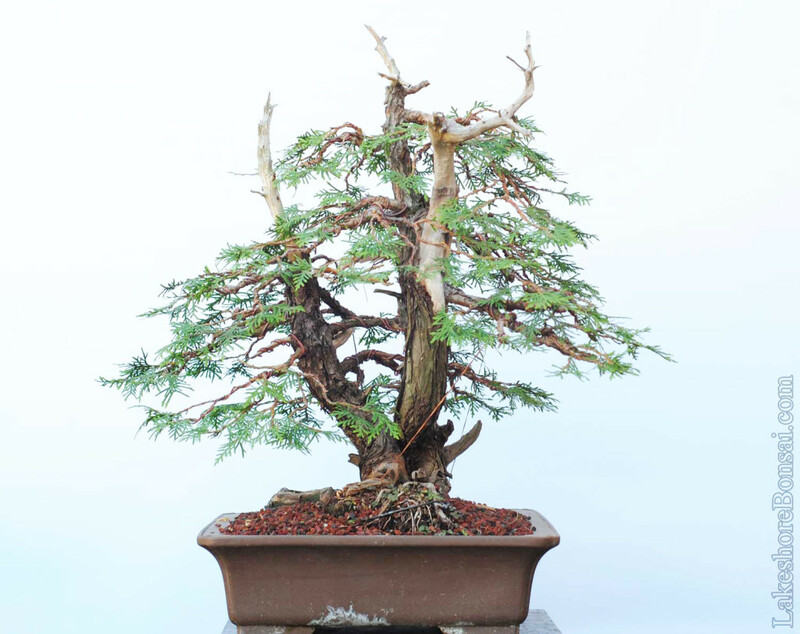 The two top jins are of equal height – a problem which I will address the next time I work on the tree. 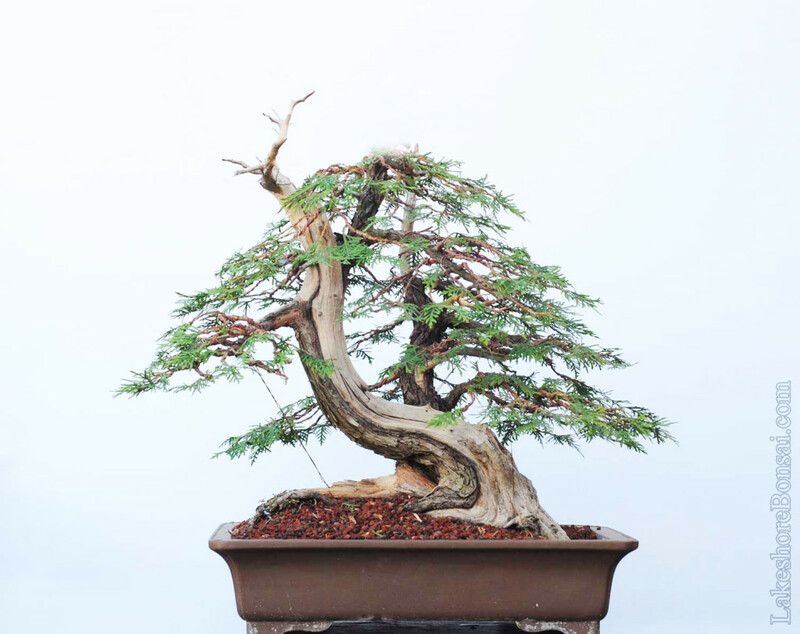 This is a photoshop adjusted picture showing how I would like to reduce the top jin on the right, and bend the jin on the left so that it better matches the overall movement of the tree. Right side. 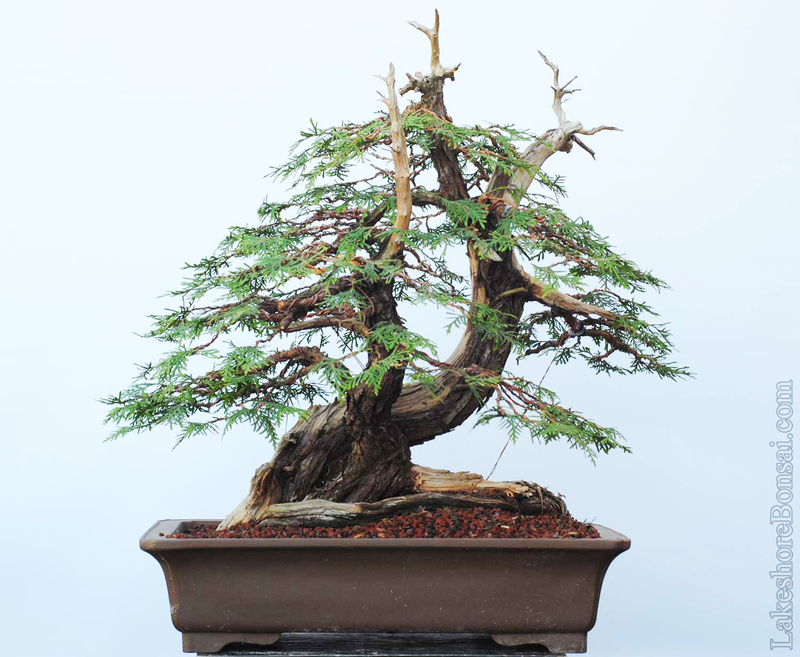 I’ve always struggled with the flatness of the main trunk, but yamadori always have their faults. This entry was posted on August 7, 2015. 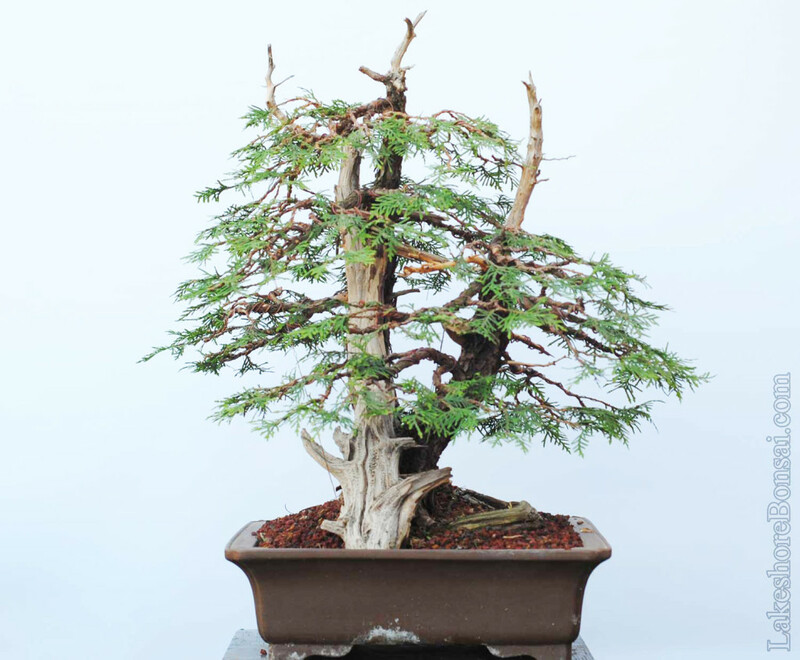 It was filed under Styling, Thuja occidentalis, Yamadori and was tagged with Arborvitae, Bonsai, Canada, eastern white cedar, styling, Thuja, Toronto, yamadori.